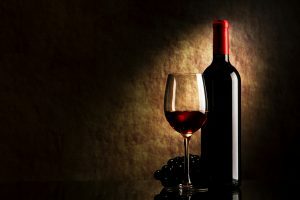 Marijuana Infused Wine is Officially Coming to Legal States! Marijuana Infused Wine is Officially Coming to Legal States! Marijuana-infused wine is set to enter the market in January. In states where marijuana has been legalized for recreational use, consumers will now find weed wine. Alcohol and marijuana have not been approved to be in the same product as of yet. In lieu of this, developers have removed the alcohol from the wine and instead added 16 milligrams of tetrahydrocannabinol (THC), the psychoactive ingredient in marijuana responsible for the high. The goal is to mimic the giggly and feel-good effect of wine, without the hangover and other detrimental factors of alcohol. During the 2016 election, voters in five U.S. states passed recreational marijuana laws, upping the total number of completely legal pot states to eight along with Washington D.C. Launching with the law, cannabis based wines will be available in 2018. The first varietal set to launch will be Sauvignon Blanc but other styles are soon expected. Trade professionals are eager to see how this new sector will affect the industry.